Not so long ago, after a particularly bad experience with a heavy swell in the Med, I vowed never to cruise again. Well, it seems I may be having a change of heart. This happens all the time with me, I get sick, say I’ll never do it again, book another, panic, enjoy it (mostly), hate it (sometimes) and so it goes on. 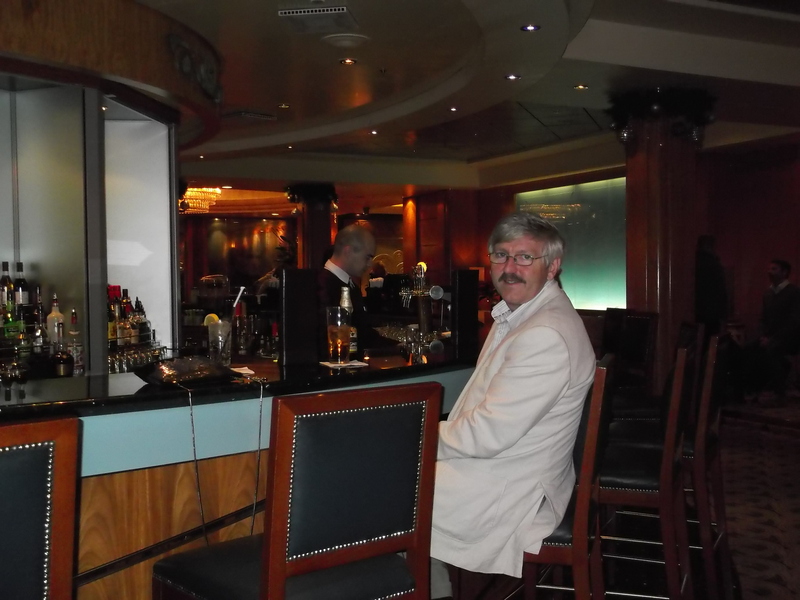 The thing is, when a cruise is good, it is very very good and no other holiday can hold a candle to it. Steve and I have been pretty dedicated cruisers over the years. Some of these have been truly amazing, such as South East Asia (cruising through the mist into Ha Long Bay Vietnam, pictured), Amazon River, Panama Canal and Alaska. Others, like Norway have been so beautiful I wanted to cry. The Med has always delivered in terms of wonderful culture and history. So, as I have a significant birthday coming up we’re planning another, this time to the Eastern Med. 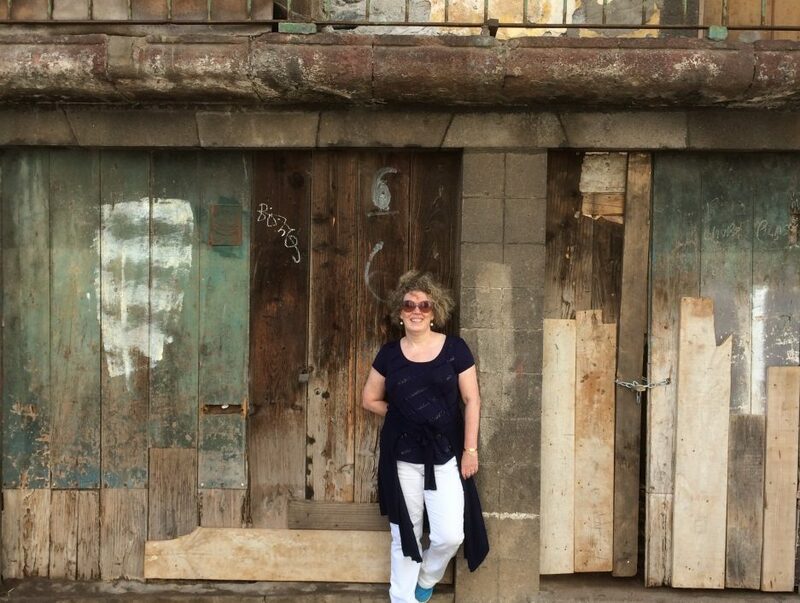 I love Greece and although we’ve holidayed there a few times, I fancy a bit of island hopping, so we’re looking at Santorini, Mykonos and Rhodes. I’m praying for the weather gods to be kind to me! This is our cruise list (for all those sad people like Steve and I that love to know the details). What better place to do a spot of Christmas shopping than on a Christmas Markets cruise on the QM2! 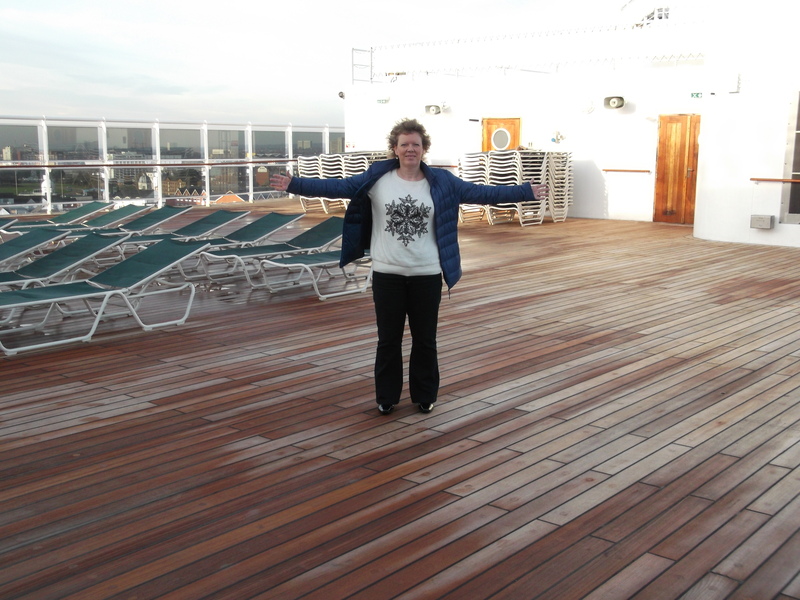 The 150000 tonne liner was our home for four nights for a festive jaunt, giving us a chance to dress up to the nines and shop to our heart’s content in one convenient package! Hurray! 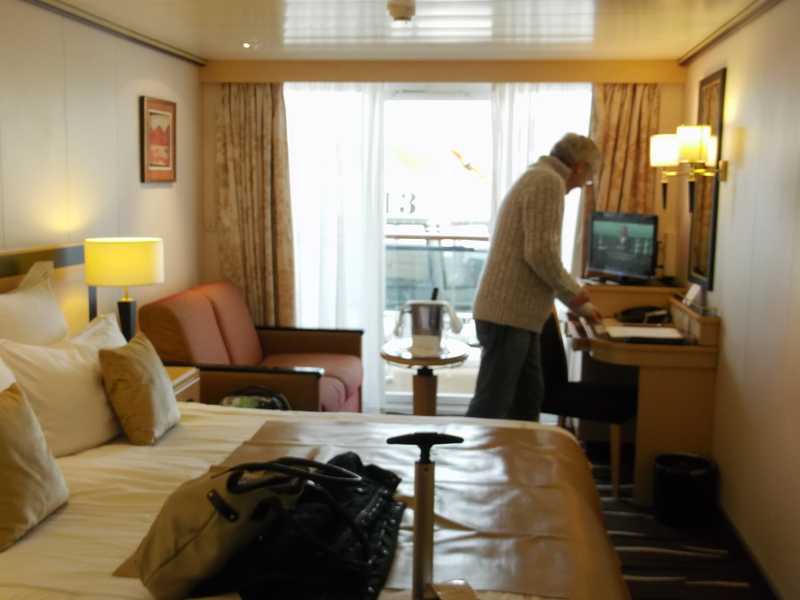 We had an obstructed view balcony stateroom, so plenty of room for our luggage, plus shopping bags, and a nice retreat for rocking us gently to sleep. On this cruise, the weather was kind to us and despite it being December, we were able to get outdoors and enjoy that being at sea feeling. We even had champagne on our balcony for the sailaway. There are some great places to eat and drink on the QM2. We particularly liked The Chartroom where I indulged in the odd Kir Royale pre-dinner and dirty martini later on! 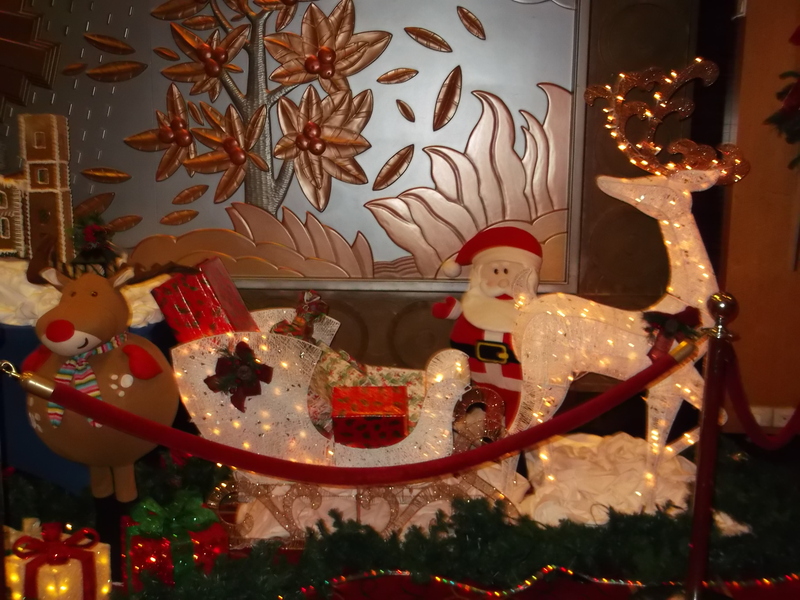 This was our first trip on the QM2 and on boarding I was blown away by the Christmas decorations and the effort that had gone into making this a Santa’s grotto for grown ups. I was so excited, it was ridiculous! 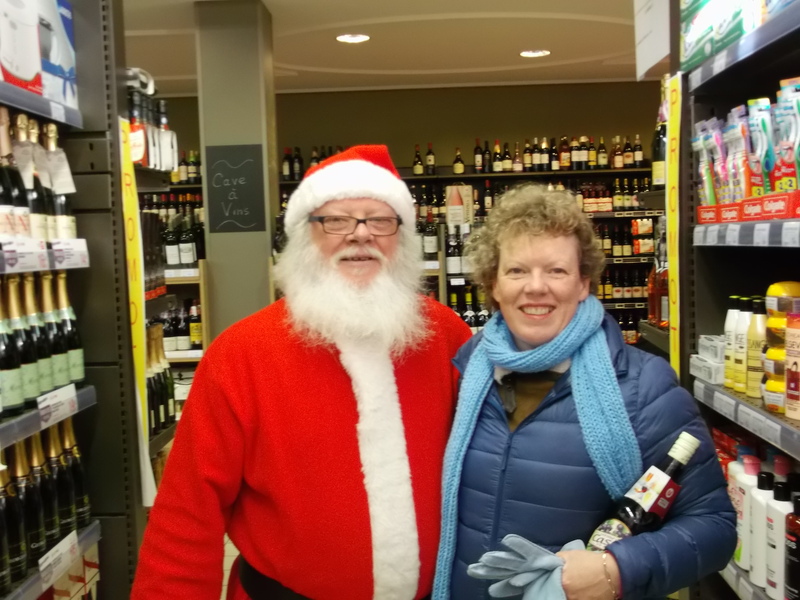 My favourite shopping outing was to Le Havre where I even bumped into Santa who caught me buying a panettone and some cassis to take home. There is a fab little market where you can test out all sort of French delicacies before you buy. On the last night, the passengers were invited to sing Christmas carols and festive music in the atrium. Right up my street! It was so magical. Especially when we sang ‘I’m Dreaming Of A White Christmas’ and snow started to fall from the ceiling! I felt like I was in a remake of Holiday Inn! This is such a fab way to get you in the mood for Christmas that I wish I could do it every year.